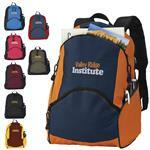 The Canyon Backpack is a great promotional item for schools events, outdoor, and retail businesses. 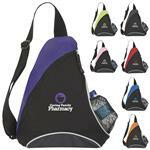 Made with quality 600D polyester it features a main zippered compartment, front pocket with Velcro closure that will fit a tablet, side mesh pockets, adjustable padded straps and a top grab handle. 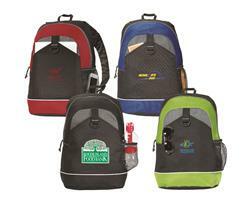 Customized it with your logo or design it will make a great way to promote your product, business or even your school spirit. 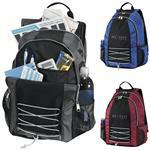 A RUSH PROMOTIONAL BACKPACK! Embroider: Front pocket center 5" dia.